MADRID (AP) — Atletico Madrid may be looking at its best chance to end an eight-year winless streak against Barcelona in the Spanish league. Barcelona’s problems on defense have coincided with an injury to regular starter Samuel Umtiti, who hasn’t played since late September because of a left knee problem. It didn’t help that Thomas Vermaelen, the immediate substitute in central defense, injured a hamstring in October, forcing coach Ernesto Valverde to use recently signed youngster Clement Lenglet, a former Sevilla defender. While Barcelona’s defense has been playing below average, Atletico continues to rely on its stout defensive scheme. 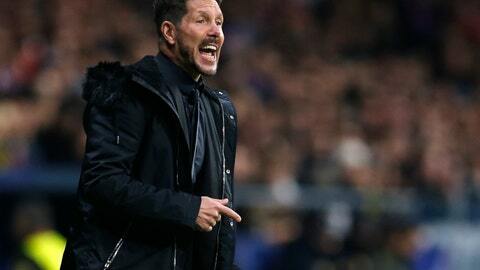 Simeone’s team has the league’s best defense with only eight goals conceded. On Saturday, though, Simeone will likely be without two important central defenders because of injuries: Jose Maria Gimenez and Diego Godin.